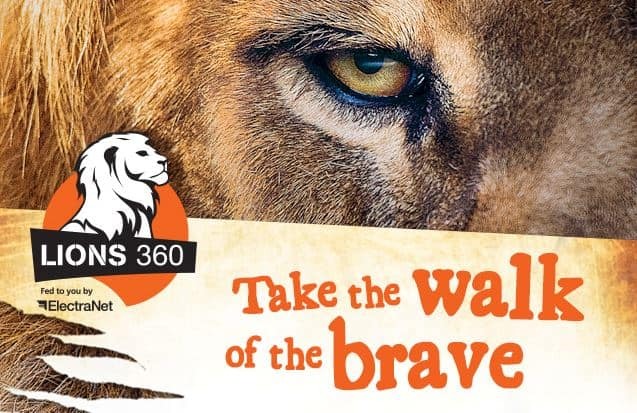 South Australia’s newest attraction – Lions 360 fed to you by ElectraNet – will be officially launched today ahead of being opened to the public from this Saturday. Zoos SA Chief Executive Elaine Bensted said visitors would be able to walk through a tunnel and emerge within clawing range of one of Australia’s largest lion prides. “Lions 360 fed to you by ElectraNet is a truly hair-raising experience with visitors able to enter the cage and get closer than ever before to our amazing lions,” Elaine said. “It’s the first of its kind in Australia and we’re excited that it will allow us to bring an additional 3,000 new visitors to Murraylands each year. “With a number of tickets sold already, Lions 360 is set to be incredibly popular so we’re encouraging people to get in early and book their experience. “With as few as 20,000 Lions remaining in the wild, Lions 360 will help us continue our work as a conservation charity raising awareness for this species. Zoos SA allocated $720,000 towards this project, the South Australian Government allocated $360,000 through the Economic Sustainability Program, and the Commonwealth Tourism Demand Driver Infrastructure program contributed $350,000. South Australia’s electricity transmission network service provider, ElectraNet, has partnered with Zoos SA as major sponsors of Lions 360.